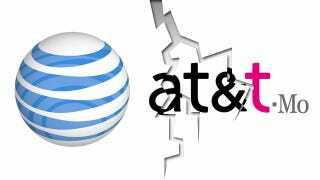 The AT&T-Mobile merger is cooked, basically. Yesterday's turkey. AT&T's withdrawing the deal's application to the FCC and is looking at throwing Kardashian-sized $4 billion at the breakup fee. But wait! According to the New York Times, AT&T's got a secret, last-ditch plan to save the merger. The Times says that AT&T is in talks with Leap Wireless to sell the smaller carrier big chunks of T-Mobile's customer base and some of its wireless spectrum. The notion isn't a new one—we'd heard back in September that AT&T was considering selling off 25 percent of T-Mobile to try to slip past the FCC—but this 11th hour deal puts a face to it.